This sentence roughly translates as, “I am a female student, and I am also a Chinese student,” and is one of the few things I know how to say after taking up Chinese as part of my graduate studies in Anthropology three weeks ago. Much of this thinking toward China has been going on subconsciously, perhaps, for awhile. My advisor at Davidson shamelessly pushed me to go to China (his own interest was in studying the Catholic Church in China), and my husband has been there several times and loves talking about Chinese culture. 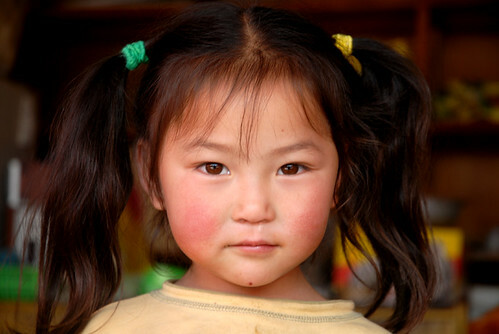 But it is only recently that I’ve not only thought about expanding my linguistic and global knowledge to include China, but I’ve also started to think about how international adoptions (1/4 of which are Chinese baby girls) are connected with a political development narrative. I have all sorts of questions about international adoption, colonialism, and culture, many of which were fragmented in an emotional way after watching a silly Lisa Ling spot that my Chinese neighbor over at Butler sent my way. The little Chinese phrase I put above marks some of my confused emotion: in Chinese classrooms today there could be about 28 boys to just 11 girls, while children in America are growing up with little Chinese sisters who, of course, can’t speak Chinese. Perhaps some of you will watch the video and begin to ask your own questions about the complicated saga of international adoption. There was something eerily meaningful and touching about seeing these families come together, seeing these Chinese baby girls lifted out of the hundreds of cribs in their orphanages to come to America. But then there were also moments when I cringed–like when one of the fathers proudly says that his Chinese daughter’s name will disappear forever for the American one he and his wife have picked out. Couple all this alongside the growing gender disparity in China, in a country where boys are favored (and for good reason–in the countryside, boys will stick around and care for their parents in their old age, while girls will move away) and girls have been discarded (which is complicated by a policy that only allows one child), and you have not only questions for our country in terms of global responsibility, but questions that in just a few generations will powerfully effect the world, like it or not. In this way, I am overwhelmed by how much I have to learn even to approach zhong.guo, the middle country, China, but I am also compelled to try to study in and learn about China. No matter where I go, I will encounter Chinese influence, and I want to understand this country and its people better; along the lines of the basic philosophy of anthropology, it will no doubt (at the very least), help me understand myself and my fellow Americans better as well. I know, there is. It is an amazing country, but feared of because of the US and our media at times. Glad you are back and blogging. The world’s your oyster.